Kozytsky, Hryhorii [Козицький, Григорій; Kozyc'kyj, Hryhorij], b ca 1725 in the Hetmanate, d 6 January 1776 in Saint Petersburg. Writer and civic figure. He studied at the Kyivan Mohyla Academy and at Leipzig University before becoming a professor of philosophy and oral literature at the Academic University of the Saint Petersburg Academy of Sciences (1758). In ca 1765 he was appointed secretary to Empress Catherine II. He participated in the drafting of her ‘Instruction’ to the Legislative Commission of 1767–9 and in the preparation of the Latin text of the commission’s resolutions. In 1768 Catherine appointed him as her representative to the Society for the Translation of Foreign Books into Russian. 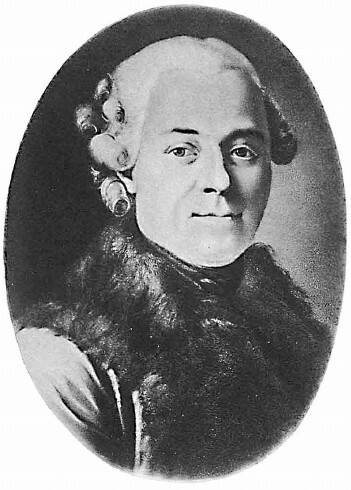 He oversaw the work of the society and prepared several translations himself, including Ovid’s Metamorphoses (1772) and F. Aepinus’s Beschriebung d. Weltgebüaudes (1770). He also edited the first Russian weekly, Vsiakaia vsiachina (1769), and translated several works by M. Lomonosov into Latin.